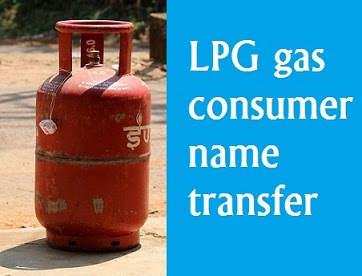 LPG gas Consumer name transfer to family member is now permitted.In case the transferee in your family is not having a LPG connection you may provide a request to your distributor. in case of Death of SV holder, Due to marriage, change name during life time of consumer is permitted to change LPG connection holder name. here providing procedure for how to change Connection holder name in LPG gas connection. who citizen want to change their LPG connection provide a request to your distributor with the following documents. The KYC will be verified, multiple connections in the address for transfer will be checked and then the distributor will make a new subscription voucher in the Transferee's name. HOW TO GET INDANE GAS CONNECTION ONLINE ? To transfer the connection in the name of legal heir/ within the family, after death of consumer, submit the following to the distributor. completed KYC form with Valid Proof of Identity (POI) and Proof of Address (POA) . Affidavit in Annexure F in case original SV is lost. In case the next of kin is not in a position to Produce Legal heir Certificate,Submit request Affidavit on plain paper. Submit following to your distributor. Transfer of LPG connection within family (ie. Father, Mother, Brother sister, Son, Daughter, Spouse ) is permitted. Original SV holder has to submit his written consent, in Annexure to transfer his connection to a specific family member. Additionally, the family member receiving the connection has to submit an affidavit on plain paper in Annexure indemnifying HPCL regarding this connection. Submit affidavit in Annexure F in case original SV is lost. Completed KYC form with valid Proof of Identity (POI) and Proof of Address (POA).